I first discovered just how robust Walla Walla’s programming for trauma and adverse childhood experiences is while volunteering for The Health Center at Lincoln High School in previous years. In my daily work as a clinical volunteer organizing papers and during large community events such as the showing of the film Paper Tigers, I felt a sense of strength and connectedness between local youth, service providers, leaders, and community members at large. This school-based health center works with the most disadvantaged youths to address current and former adverse situations by community outreach, medical care, and mental health services, but these programs are just one small but significant part of the network of services in Walla Walla that empower the community from the ground up. In my current fellow position, I work as an associate of evaluation and design for the Children’s Resilience Initiative or CRI, which helps to coordinate the efforts of Walla Walla’s public service programs such as The Health Center. 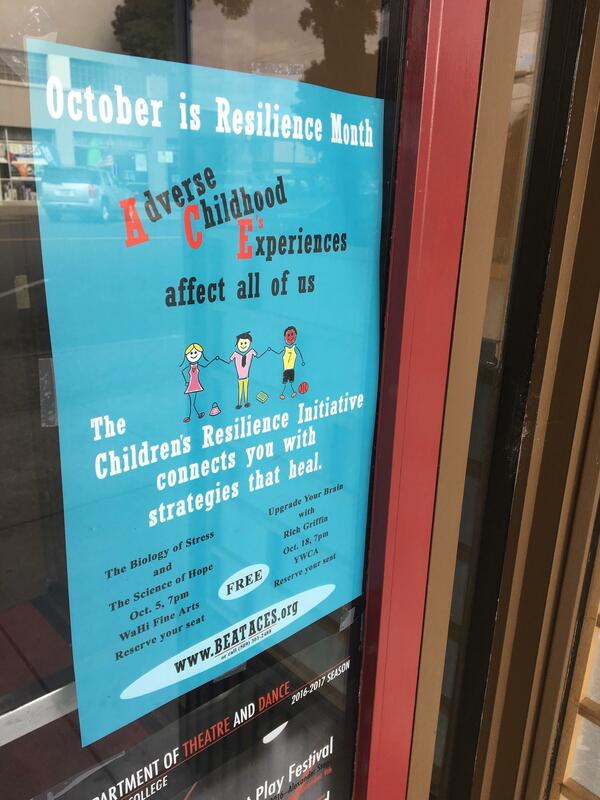 CRI works with the Walla Walla Community Network to build our community’s capacity to strengthen family and community ties, in turn reducing adverse child experiences (ACEs) and promoting well being. As an anthropology major with minors in biology and chemistry, I have found this position to offer me a way of applying my skills and knowledge gained in Whitman classrooms. At the CRI, we are interested in exploring the links between the brain science of toxic stress resulting from traumatic experiences during childhood and later in life outcomes in the areas of health, education, economic success, social well-being, etc. We take this understanding of trauma, and apply it to programming that aims to enhance community resilience through the formation of strong networks of support that use existing social strengths. I have joined a community of change agents who recognize that the true movers of the world are the community members who improve the lives of those around them day by day. In my position, I support the CRI by documenting the history of the community’s process of building resilience. My project will ultimately communicate the learnings of Walla Walla to other communities in Washington State by use the platform of the Washington State ACES Public-Private Initiative. Walla Walla partnered with Whatcom County as recipients of the Mobilizing Action for Resilient Communities (MARC) grant. 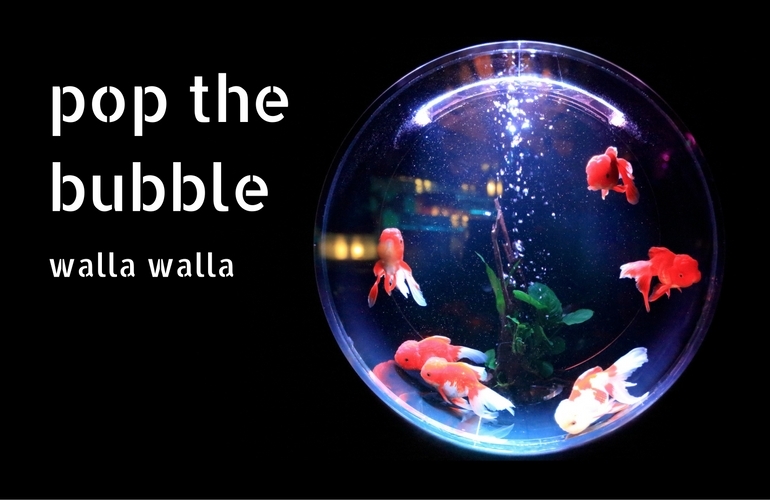 Walla Walla aims to use this opportunity to advance its local programming and support community building statewide. A flyer posted downtown to advertise one of the CRI’s awareness events. 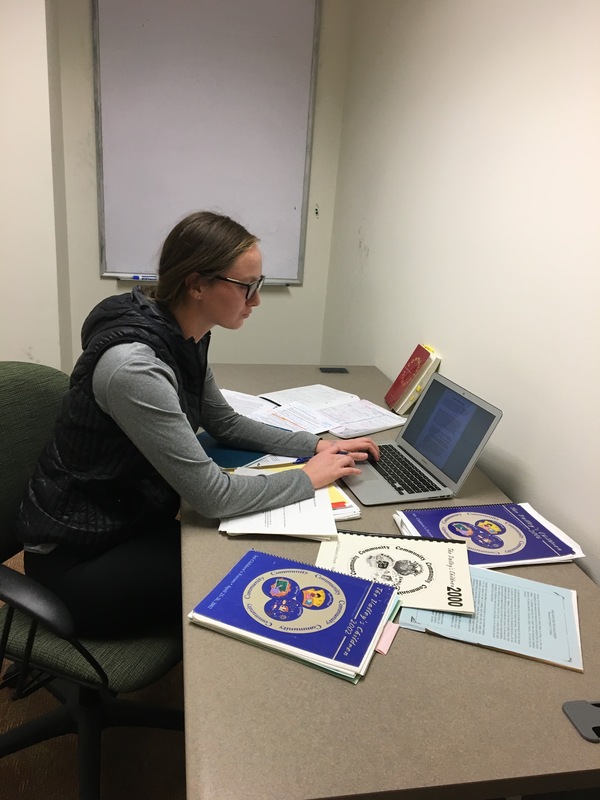 I have been able to use my past experiences in qualitative research as an anthropology student to guide my work in developing a mixed-methods research project for the CRI. I spend hours reviewing binders, books, PDF documents and historical documentation as I attempt to understand the philosophy and methodology of early leaders who encouraged community members to join a movement. I am developing a strong understanding of local programs and look forward to my next step of conducting interviews with individuals who have played meaningful roles in the community. Walla Walla has used collaboration between leaders, organizations, public entities, and community citizens to communally rethink how we understand and address social issues. The task of putting into words the emotional and social processes of community building that have determined the current strength of Walla Walla is challenging, but is important to undertake in order to continually improve upon existing practices and export local methods that may promote community health in neighboring and distant communities.